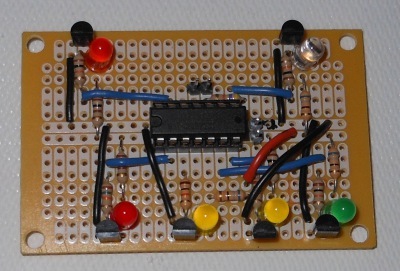 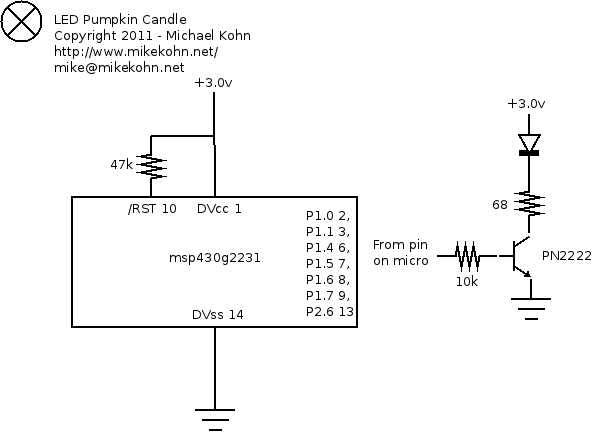 Just in time for halloween, here is a simple circuit that PWM's 6 colored LEDs with an msp430g2231 microcontroller. 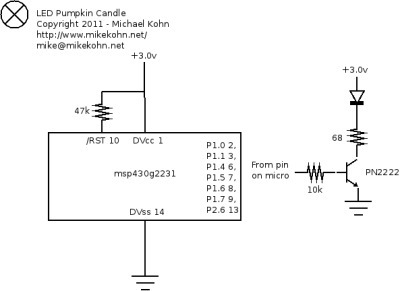 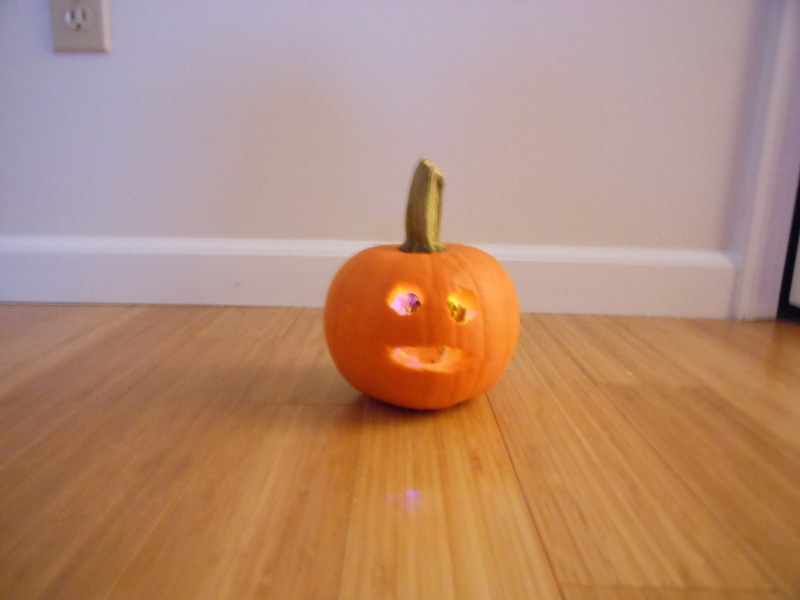 When the circuit is sitting inside a carved pumpkin it can take the place of a candle. The source code below can be assembled with naken_asm. Here's the pumpkin glowing colors :).